A Fully Managed Dedicated Server will distribute 100% of its resources to power just your websites and applications, unlike shared, virtual or cloud environments where the server's resources are split among other users. All BigScoots fully managed dedicated servers are custom built and with our free expert advice you'll choose the right storage, performance and backup options to meet your demands now and in the future. BigScoots fully managed dedicated server hosting is exactly that, real and complete full management of your entire dedicated server by a team you know by name and who are passionate about your success. We’ll handle everything the other guys can’t and you don’t want to worry about such as guaranteeing a seamless initial migration, ongoing optimizations, third party software or plugin issues, proactive monitoring of the network and hardware, backups, ongoing security enhancements and so much more. 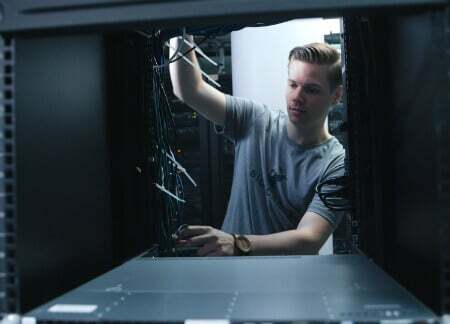 We fully own and operate 100% of our dedicated server hardware, including the supporting enterprise grade networking, power and security hardware. This means that start to finish, and top to bottom, BigScoots has total and complete control over every single piece of your service. This translates into incredibly efficient and accurate support that you can always count on, no matter the time of day or complexity. Our fully managed dedicated servers are always built using current generation hardware. With large performance and reliability benefits coming out of every new generation of hardware, this means that you can expect nothing but the absolute best from your server. Give us 7 days to show you why we’re the best host you’ve ever had or your money back! What is a Fully Managed Dedicated Server? A Fully Managed Dedicated Server is an entire bare-metal machine dedicated exclusively to your use. It is fully managed so we ensure the system is completely optimized for your websites and applications. A dedicated server if properly managed delivers the absolute best performance and reliability on the web today and is the best value for money there is. 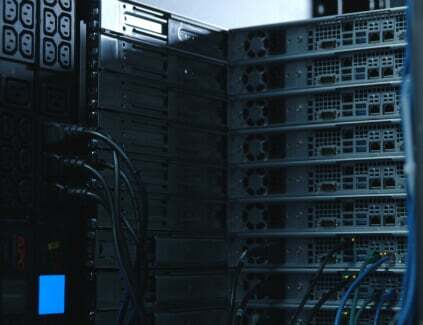 Dedicated servers are custom built for our clients’ needs and guaranteed to be the ideal long term solution for any serious website or business. Who should use a dedicated server? A dedicated server has a high cost of entry relative to any other web hosting environment. This is because the entire server is dedicated exclusively to you and you are therefore no longer splitting the cost with others. This does however mean you will have full control over its resources and with our management you’ll find substantially better long term reliability and performance than with any other webhosting service. A BigScoots Fully Managed Dedicated Server is what any individual or company needs if they are looking for the best web hosting environment out there. Of course! We will migrate any website or application, basic or complex from any host at absolutely no charge! Do keep in mind that if you are coming from a host who is seriously limiting our access it is possible there may be a charge – chat with us to confirm! You’re a small team, are you really available 24/7/365? Since the day we started out over 8 years ago we’ve successfully maintained 100% support desk coverage around the clock, period. Our size is by choice and very proud of it, we’re far more agile and efficient and able to deliver results like no other host can. That doesn’t come without a serious amount of hard work and dedication, but we wouldn’t change a thing, we love it (and so do our clients)! Why are you better, faster and stronger than any other host? Bottom line, enterprise hardware is available to any host willing to invest in it. Software is freely available to any host willing to purchase and configure it. The real reason why BigScoots has been 100% positively reviewed since the day we started out over 8 years ago is because we’re passionate about our client’s success. We pour an unbelievable amount of time and effort into every new website that comes through our doors delivering them the fastest and most reliable web hosting service they’ve ever had.